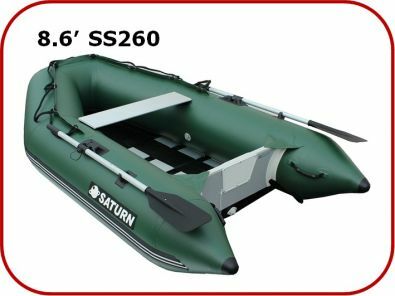 The 8'6" SATURN SS260 Saturn Slated floor inflatable boat is one of the lightest and least expansive dinghies available on a market today. 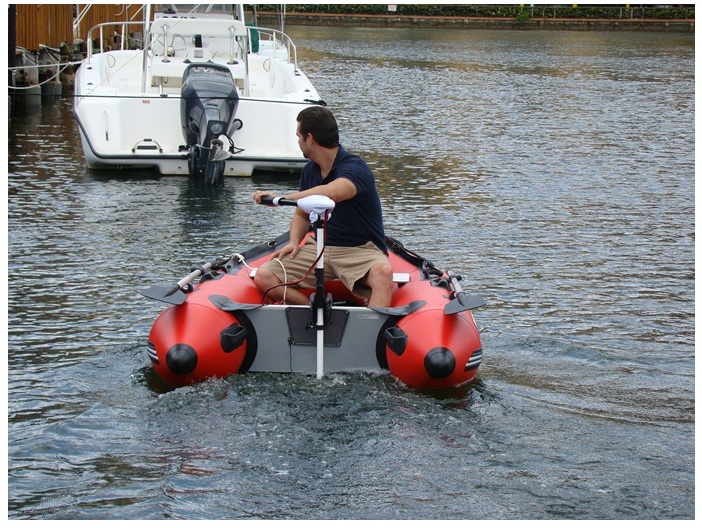 It was designed with one purpose only - Make Boating Affordable! 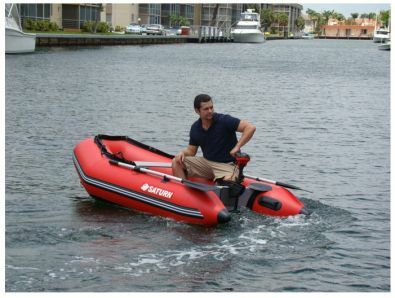 Great as a dinghy tender for yacht or sailboat, or just as all around small pleasure water craft for fishing, rowing and motoring on a budget. 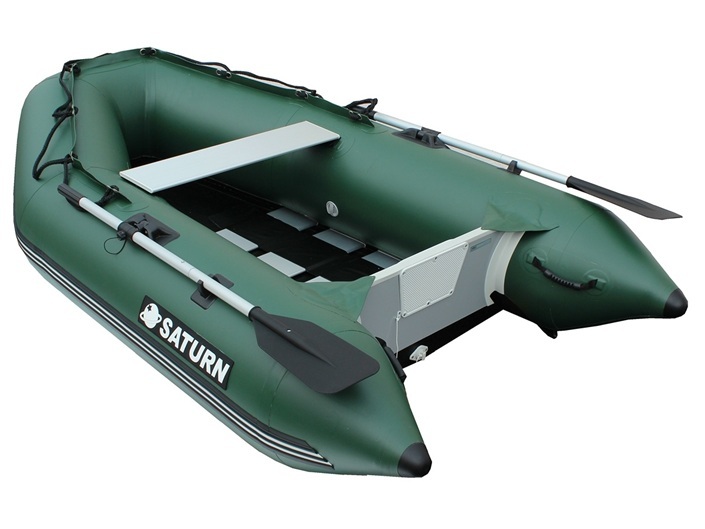 The Saturn SS260 inflatable boat comes a slatted floor made of aluminum boards. 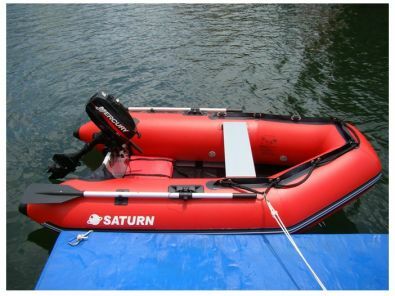 These are same heavy-duty aluminum boards that are used for seats in all our Saturn boats. Aluminum slatted floor is much more reliable and rigid than regular plywood slatted floors available elsewhere. It will not break, it will not crack over time and its corrosion-free! 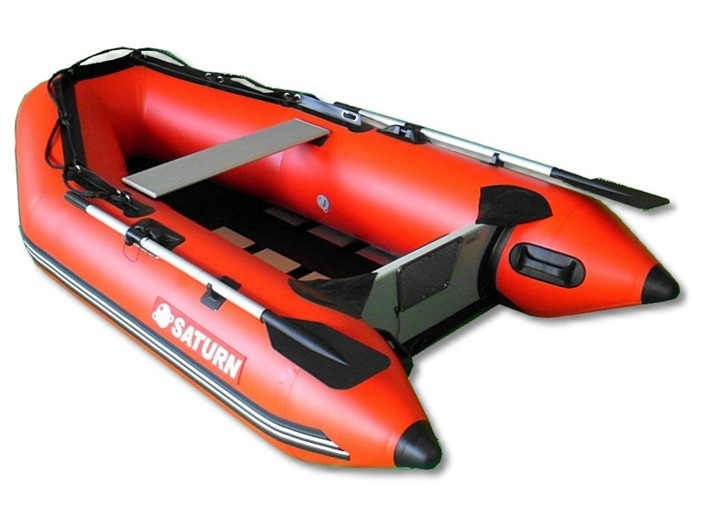 Slatted floor make it much easier to assemble and disassemble inflatable boat. 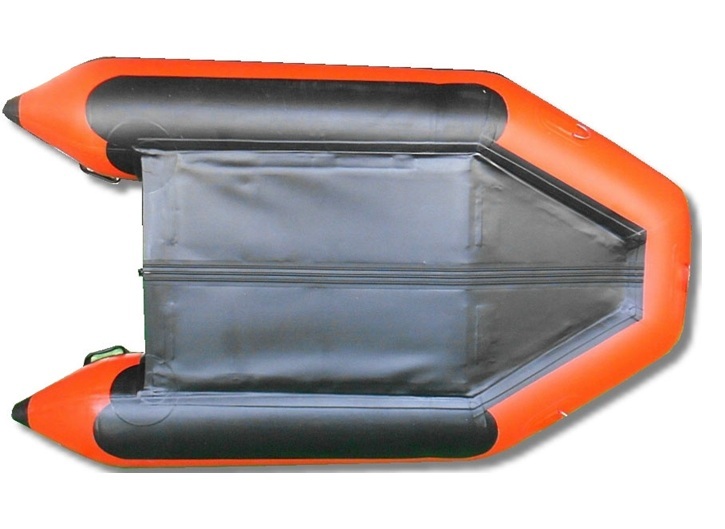 You simply unroll it and pump in air with the included hand pump or optional electric pump. SS260 SATURN inflatable boat with aluminum slatted floor is excellent as a small rowing dinghy. You can easily reach your sailboat or go for the day of fishing on a lake. SS260 moves nice and easy when rowing, and due to the high stability of inflatable boat, it is possible to stand up for fly fishing or while boarding your yacht. 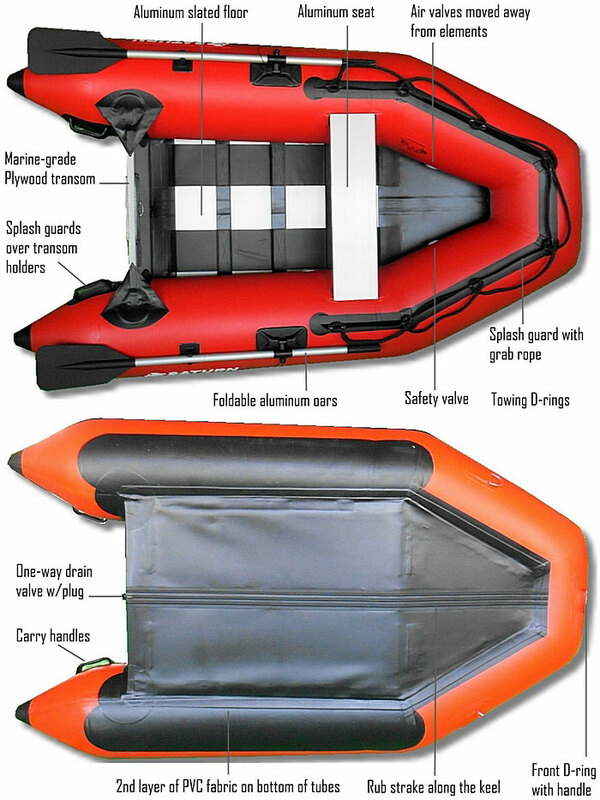 This boat is a must for RV owners or anyone who wants to be on the water quick and on a budget. 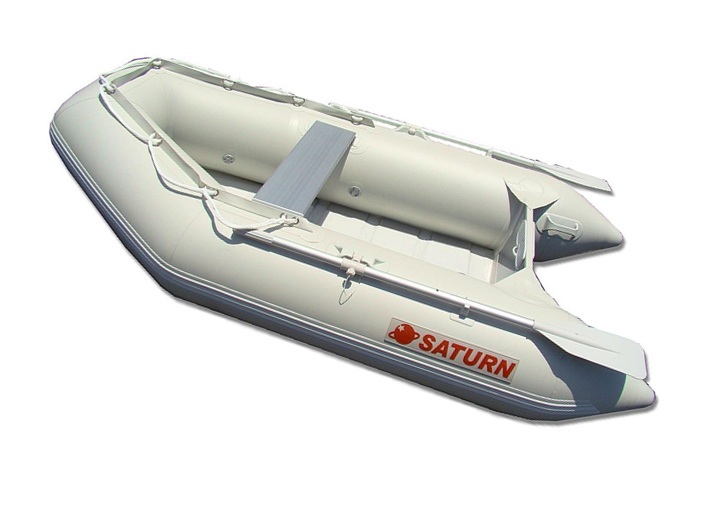 Please note that SS260 Saturn slated floor boat does NOT have inflatable keel and does NOT come with high-pressure drop stitch air floor. It only comes with slatted floor using aluminum boards. 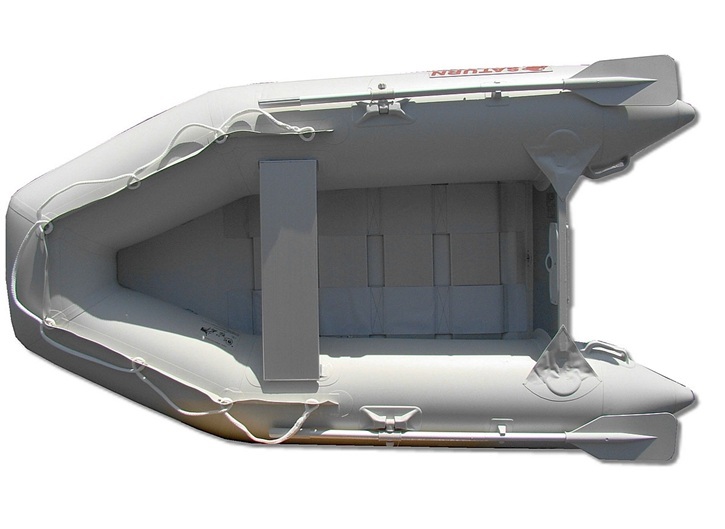 However, what makes this boat different from other boats is heavy-duty 1.5mm 5-layer PVC bottom, which is almost twice of thickness regular 0.9mm PVC. Splash guard in front with grab line. Bottom fabric is extra heavy-duty 1.5mm PVC. 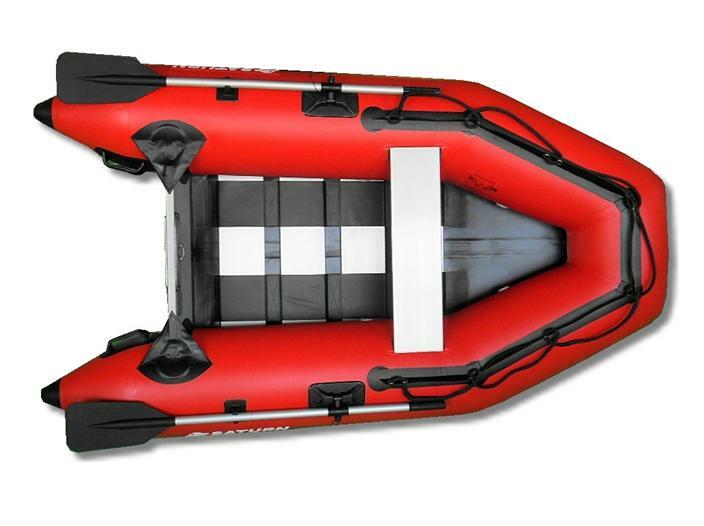 4-pc aluminum slatted floor is included with a boat. Lightweight and strong removable aluminum seat bench. Shipping Size: 41 x 24 x 12"
"The Saturn SS260 is an awesome boat! Great for its price and guaranteed you will have lots of fun with! I personally have had no problems at all with it." 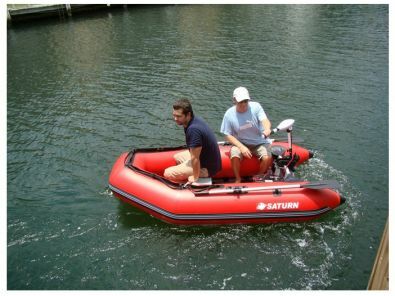 "I love my Saturn boat!"